In 2008, the Fitch Foundation awarded a Fitch Mid-Career Research grant to Vicki Weiner. Her project, Historic Preservation and Community Development: Protecting “Place” in Low Income Communities, will develop strategies for imbedding the values and tools of historic preservation into community development activities in New York City’s low-income communities. 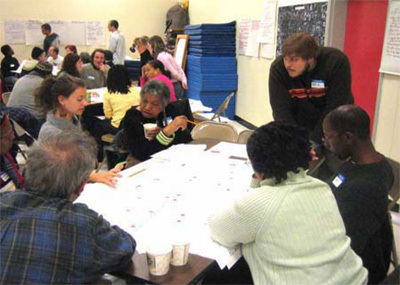 Using research, case studies, and policy analyses, she will produce a methodology to help community stakeholders embrace neighborhood history and culture as vital components of successful community development and will highlight many community-building methods and tools that historic preservation can offer to low-income communities as they seek broader changes to bring neighborhood improvement and enhancement.